When Mollai shared her wedding pictures with me, I knew it was going to be hard to just pick a few to share. 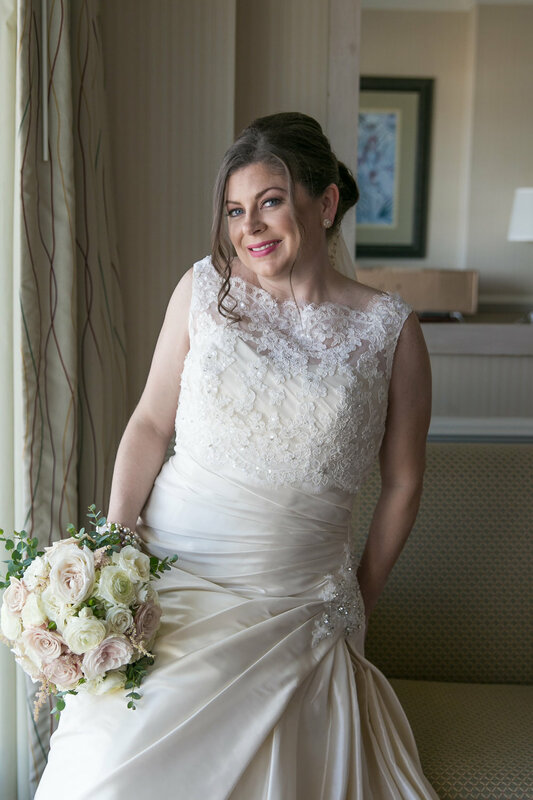 She was stunning on her wedding day, and everyone had so much fun getting ready! Mollai, her mom, and mother-in-law came to the studio to have their hair and makeup done for Mollai's big day. Earlier in the year Mollai and I got together for her wedding hair & makeup trial. Since we did a trial earlier, I did Mollia's hair & makeup. While Taylor did Mollia's, mom and mother-in-law's hair and Taran did the makeup. Thank you so much for letting the Andrea Bounds Hair & Makeup Team be apart of your wedding day!